4 CD’s, 17 musicians, 32 master pieces: these are the main ingredients of Schubertiade – a compilation of vocal and instrumental chamber music by Schubert, hand-picked and assembled by Jos van Immerseel to form the soundtrack to 4 imaginary Schubertian salons. An ode to the master of Ständchen and Forellenquintett, this recording is also a celebration of Anima Eterna Brugge’s maestro, who, over the past 25 years, has led the orchestra to many happy encounters with his favorite composer. “Schubert (1797 – 1828) was in a certain way very introvert. He wasn’t a public personality like his predecessors Mozart and Beethoven. This was also because of the time in which he lived, a period of political repression and censorship, during which everyone preferably got together within private chambers. In Schuberts case this led to evenings full of entertainment and music in which romantic escapism first spread it’s wings. 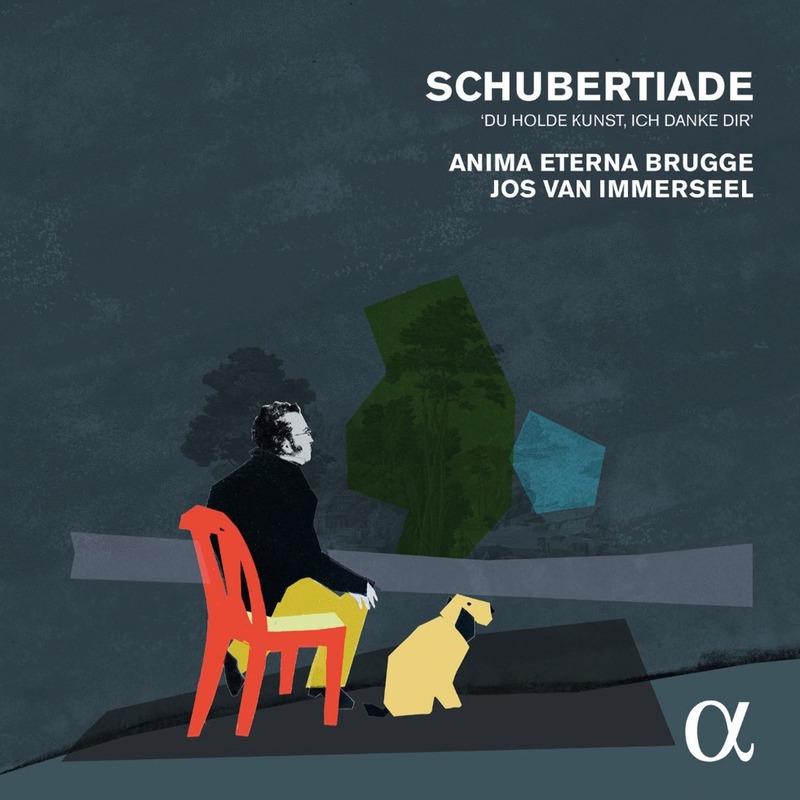 Flemish fortepiano player Jos van Immerseel and his ensemble Anima Eterna have put together four of such Schubertiades from the composer’s works on their own authority. Nearly all aspects of his work are covered by the 4 cd’s. Exceptions are of course the symphonic music and, deliberately, the works for solo piano. In their place a lot of room has opened up for works for four hands performed with joy on a wonderful sounding Graf fortepiano.